Our lodge is located in historic downtown Lebanon Ohio - The county seat of Warren County. Located between Cincinnati & Dayton Warren county & Lebanon are close to many entertainment opportunities. Warren County IS “Ohio’s largest Playground” with signature golf courses, King’s Island amusement park, The Beach outdoor water park & Great Wolf Lodge’s open year round indoor water park. World championship tennis & volleyball. The Golden Lamb - Ohio’s oldest Inn and an antique shopping haven to thousands and of course Ohio’s only horse drawn Christmas Parade the first Saturday of December every year! Lebanon also hosts several very popular city sponsored music & arts festivals. 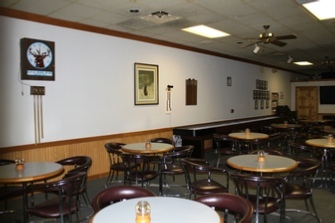 Our main floor has a long welcoming full service bar, several flat screen televisions, a jukebox, dance floor, billiard table, dart board, card room, shuffleboard table and full kitchen. The lodge lounge gladly accepts credit cards for your convenience. 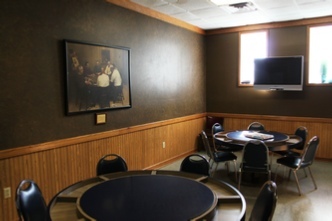 The lodge also has wi-fi service for members usage. Friday night $1.00 and Saturday night $5.00 books. You must sign up for yourself - please don’t sign up for others. You must be present at the time of the drawing at 9:00 PM to win the entire pot. If you are registered but not present when your number is drawn you will receive half of the total pot. Winning funds will be available within one week of your name being drawn. You will receive your winnings from the lodge treasurer - don’t ask the bartender for cash or credit on winnings.